Home #BigConcern Why Telangana’s Communist Party Of India Is ‘Confused’ Over Elections? Why Telangana’s Communist Party Of India Is ‘Confused’ Over Elections? The CPI is picture perfect of confusion. The otherday, CPI national secretary Narayana has said conflicting things on Telangana politics. He said an alliance is a dire political necessity in Telangana if the TRS has to be defeated. But, at the same time, he said that the CPI did not want to beg for seats from the Congress. Hence, it has announced candidates for nine seats. “Can Congress hope to win all the seats it is contesting?” he ased. 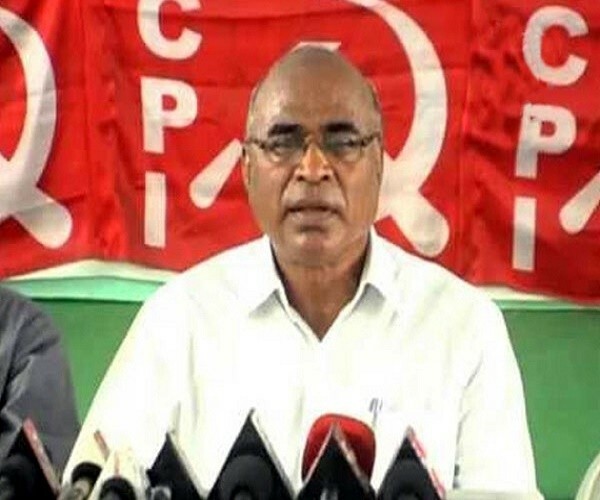 Interestingly, CPI state secretary Chada Venkat Reddy too has betrayed the confusion in the party when he said that though they have announced candidates for 9 seats, he was ready to join the alliance if they were given five seats that they want. Why contest nine seats when you want just five? So is it all about the five seats that CPI wants? If it only wants five seats, why is it contesting nine seats? Interestingly, Chada Venkata Reddy’s demand for Husnabad is one major issue that led to deadlock in the Maha Kutami talks.